Carrick Self Catering’s promise is to give you a stress-free hen party and the best value for your money. 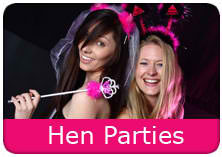 We own and operate all our own accommodation to the highest standards and we specialise in organising hen parties. We accommodate any group size be it for one or two night stays. Should you have any idea in mind, do let us by filling the contact form below and we’ll be more than glad to design your own package.